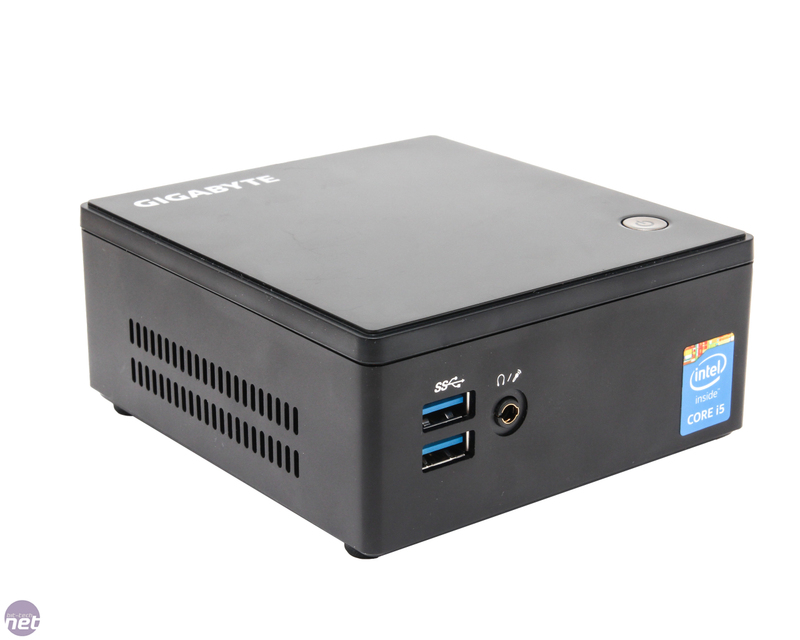 Whether low power mini PCs will become popular in the home is yet to be clear but they're certainly making waves in offices and digital signage. The space-saving they offer as well as Windows-compatible hardware and fairly nifty gear performance-wise at that, means that they're ideally suited to replacing budget towers. 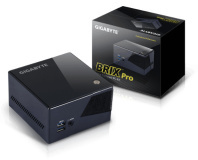 Gigabyte's BRIX mini PCs have been doing the rounds for a while and these NUC-like machines have even sported Nvidia dedicated GPUs in the past as well. 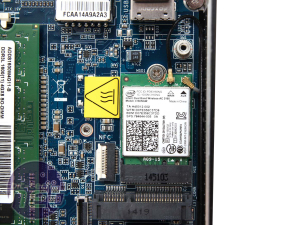 Today, though, we get our first look at an Intel Broadwell-based ULV Core i5 processor in the BRIX S GB-BXi5H-5200. 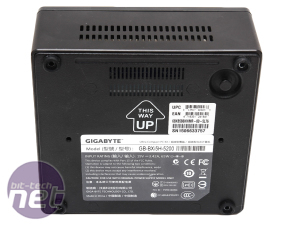 The BXi5H sports a Core i5-5200U, which differs surprisingly little in terms of raw specifications from the Core i3-5010U we saw in Intel's NUC Kit NUC5i3RYK. Both are dual-core, four-thread CPUs, both have 3MB Cache, a 15W TDP and identical graphics in the form of Intel HD 5500, with a maximum GPU core speed of 900MHz. 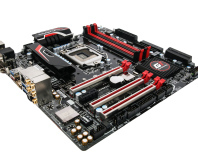 The difference comes in frequency - while the Core i5 has a meagre 100MHz advantage in base frequency at 2.2GHz, as it sports Turbo Boost, it can ramp this up to 2.7GHz so is likely to be much more potent. 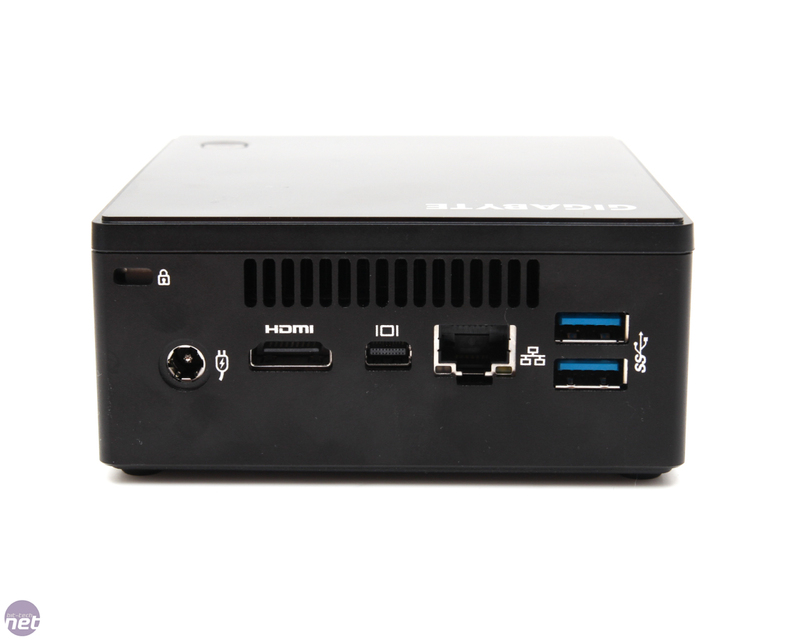 Our BXi5H sample actually comes from UK mini PC retailer Ambros, and arrived as a complete system with Windows 8.1 installed. 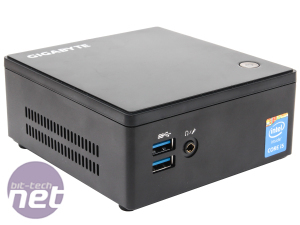 The system can also be purchases with difference specifications to the £630 configuration we have here, or as a barebones minus RAM, storage and OS for just under £340. 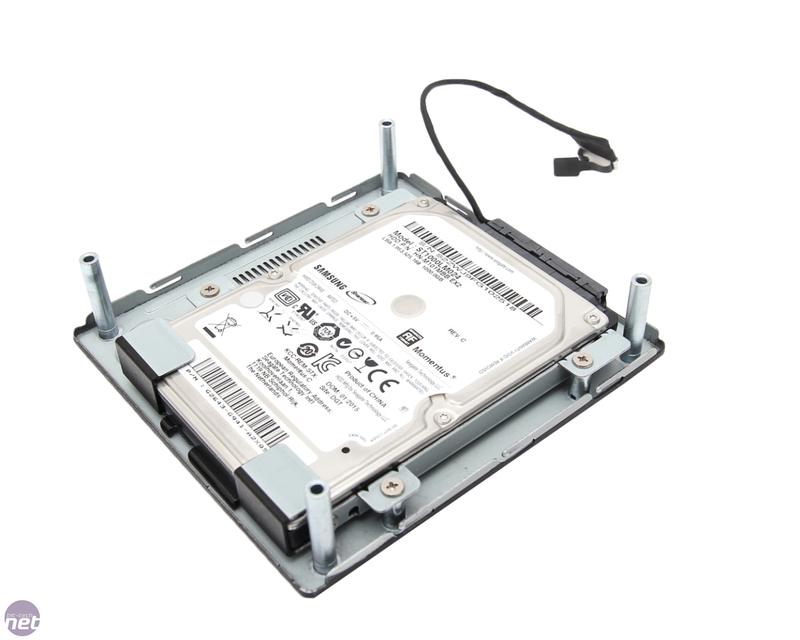 Our particular sample has a 120GB Kingston mSATA SSD, 1TB Samsung hard disk and 8GB of RAM along with Windows 8.1, but you can configure the system in quite a few ways depending on what gear you need to get up and running. 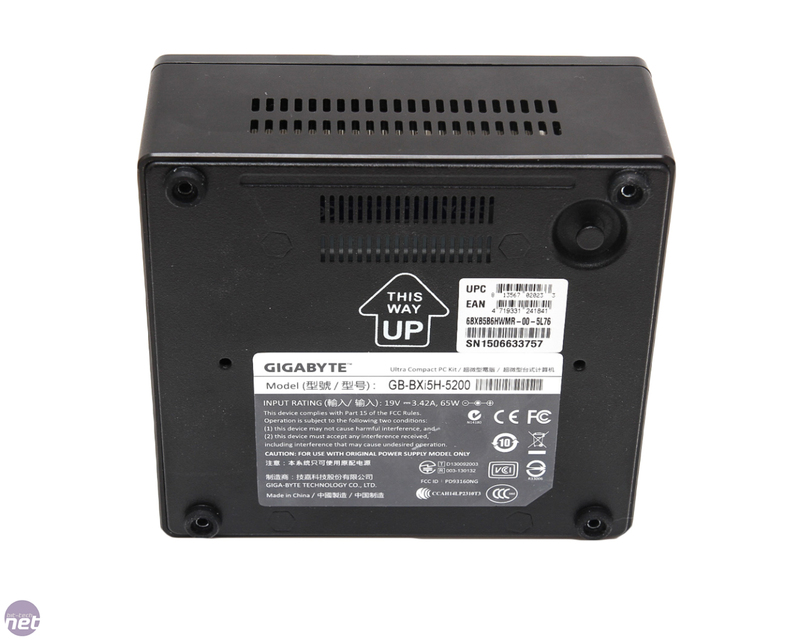 The SSD clearly makes a big difference, just like it does in a laptop or a PC compared to a hard disk, but the BXi5H can actually house a 2.5in drive as well as the mSATA one, with the former located in a mount in the base. 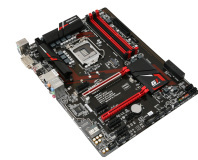 There's a full combined SATA 6Gbps data and power connector so you can use any 2.5in drive you like. 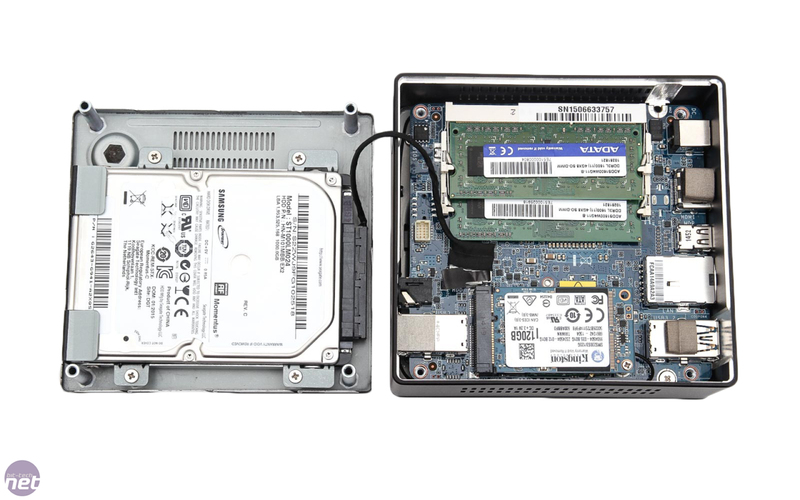 The internal layout is pretty similar to the NUC chassis' we've seen, except the BXi5H is noticeably taller in order to make room for the 2.5in mount in the base beneath the PCB. The chassis itself is made up of steel and aluminium with a plastic lid, with the exhaust vent at the rear. 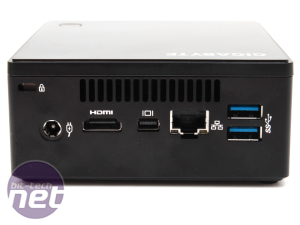 Port-wise, most people should be happy with what's on offer with two USB 3 ports at the front and rear, along with a combined headphone and microphone jack at the front, plus HDMI mini DisplayPort and a single Gigabit Ethernet port at the rear. 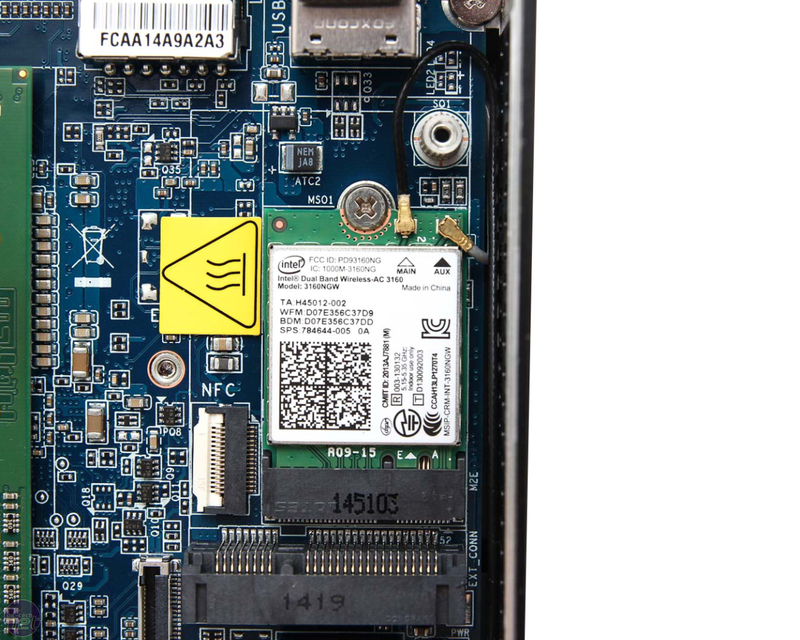 There is of course Wifi included too, provided by a 30mm M.2 Intel Wireless-AC 3160 card.